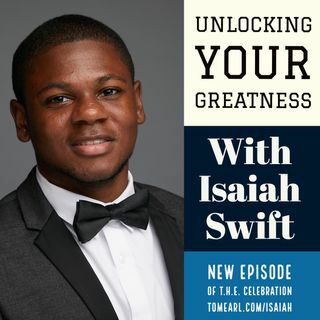 In this week’s episode we interview entrepreneur and author Isaiah Swift. His book “Unlock Your Greatness” 8 Ways to be Successful in High School and Beyond teaches students how they better prepare for the real world after they graduate, and provides them with valuable insight as to how they can find volunteer, internship and scholarship opportunities in their community. A Virginia native, Isaiah was awarded a full academic scholarship to attend Norfolk State University and study Business ... See More Finance. He is also brand ambassador for clothing design company Fresh Prints. During our uplifting session, Isaiah shared the inspiration behind his book, his journey to being courageous, the people he looked up to along the way and always making sure our work ethic matches our vision.